Home :: Party Supplies :: Tableware :: Childrens Birthday :: Emoji :: Smiley Stars Party Invitations. Smiley Stars Party Invitations. 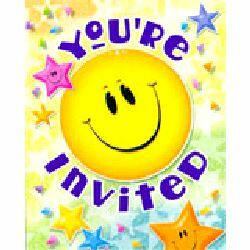 Contains eight Smiley Stars party invitations with envelopes.